When you’re shopping around for a new tow truck insurance company, it’s best to get started right away. Give your agent at least 60 days before your current insurance ends. 60 days is about the amount of time it takes an agent to thoroughly shop your account around to companies that offer tow truck insurance. Agencies have access to certain tow truck insurance companies, but no agency covers every company. That’s why it’s important for you to contact several agents. 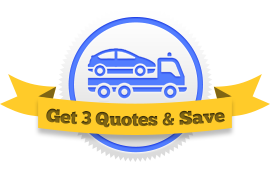 Working with several agents both speeds up the time it takes to receive a quote and ensures that you get the best insurance company possible. An easy way to speed up this process even further is to use our Online Quote Form. By filling out this form, you will be connected with three agents without having to conduct the search yourself. And, of course, the service is free. Do you offer safety manuals and emplyee handbooks? Do your drivers use GPS systems? Do you have security cameras installed on your property? Which state and federal safety programs do you follow? Your driver qualification files and the last three years of your loss run history. After your agent has suggested a company, look at that company’s rating on Moody’s or A.M. Best. An insurance company’s rating indicates how trustworthy they are. The ratings offered by these sites are often the only way for consumers to gauge whether an unknown insurance company is reputable or not. With that said, large insurance companies aren’t always the best option. There are many, many small insurance companies that can offer you better service at a lower price than many of the big names in insurance. Do you offer combined deductible? – If you get into an accident where your tow truck and the vehicle you’re towing are damaged, you might have to pay separate deductibles for each vehicle, since they are protected by different coverages. A combined deductible eliminates this problem. Tow truck insurance companies want to work with you to get you a payment plan that fits your operation. Many businesses will choose to pay their premium on a month to month basis, but there are usually other options. Generally, when you opt for higher payments paid in quarterly or semiannual installments, your overall cost drops.